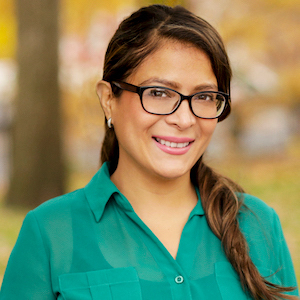 Gladys V. Barco joined Compass in Williamsburg after working on new developments for ten years in Manhattan and transitioning to multi-families in Brooklyn and Queens. She is a skilled sales specialist who also handles sales and rentals throughout the diversity of vibrant Brooklyn and Queens neighborhoods. A Queens, New York native, Gladys has lived in Forest Hills her entire life. She has enjoyed seeing the tremendous growth her borough and neighboring Brooklyn have experienced, and continually keeps up on the market to serve her clients better. Collaborating with and keeping in close contact with her loyal clientele allows her to build strong relationships that are the foundation of her business. Working beside top agents representing buyers and sellers for many luxury exclusives in NYC, she has become a trusted consultant who helps her clients find their next homes with honesty and heart. When you do find the home of your dreams or are selling your special property, Gladys can expertly navigate the process to ensure a smooth, successful result. Her knowledge, professionalism, and excellent negotiating skills put her clients at ease knowing they are in the best of hands. Gladys speaks fluent Spanish. Her passion for helping others is not just realized through real estate, but her involvement in philanthropic work as well for St. Jude’s Leukemia Foundation and The Autism Science Foundation. Other interests include traveling, yoga and biking. Time spent with her husband and three daughters means the most. “I want to express a few words of gratitude for not only having Gladys as my agent, but, as a friend as well. Gladys handled herself with the utmost professionalism in carrying about her duties selling my home. She is caring and courteous and made me feel as though I made a wise choice in hiring her.” George C.
“Gladys was resourceful and used all of her connections to get my family the most money in the sale of our home. The process was smooth thanks to Gladys' experience and considerate business manner. I look forward to working with her again in the future.” James S.
“Gladys invested a lot of her time and energy in finding us a new home. She was always there for us! Will always recommend her in the future.” Andrea T.
“Gladys Barco worked diligently to sell our home and find us a new one. Due to an error on the buyer's part, we had just two weeks to complete the sale and find a new place. At the time it seemed impossible, but Gladys kicked it into high gear and was relentless in finding our new space. She was always available when I needed her, she is truly a gem.” Anna T.